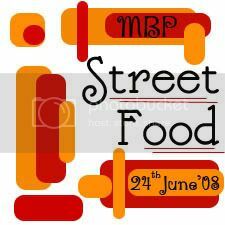 With many requests pouring into my mail box, I am extending the deadline for MPB-Street Food to 30th June, 2008. So foodies, you still have got one more week to indulge yourself with all delicious Street Foods from fellow blogger’s blog. Please don’t forget to go through the guidelines and mail me the details. Is your bookmark page is over-loaded with recipes to try? Mine is. Every day it’s the same old story. Blog hop and bookmark mouth watering recipes which has grabbed your full attention. With so many recipes bookmarked I always look forward to participating in Coffee’s Monthly Blog Patrolling a.k.a. MBP. Here is one event which encourages us to cook something from our fellow bloggers blog which you had meant to try for ages but had no time till date. This is one event which not only gives you a chance to explore the food blog world but also spreads link love. And I am proud to be guest hosting June edition of MBP and this month’s theme is Street Food. The term "street food" best describes the casual, delicious and local cuisine sold in stalls, carts and open air markets around the world. Chats and Kebabs from India, hotdogs from New York, Mexico’s mango on a stick, stir-fries from china, caramel-filled stroopwafels at an Amsterdam stand—street food is convenient, finger licking delicious, cheap(no pun intended) and tantalizing. From full meals to simple snacks to fast refreshers, the street food has it all. Well, I am a die hard fan of Street Food and I know many of you out there share this love for Street Food. So my dear friends hop around the food blogsphere, cook your favourite Street Food from fellow blogger’s blog and post it on your blog. Chats, Dosas, Stir Fries, Pakodas, Kebabs, Hotdogs, Kulfi, anything your tummy begs and heart desires and spread link love. Please carefully go through the guidelines posted below and send in your entries. 1. You have to cook something from the fellow bloggers (the “from” has to be a blogger and not any other cooking site!!) posted recipes. 2. Please link back to this announcement page and/or the logo below, and also to Coffee’s MBP announcement page. 3. Post a picture of the final recipe on your blog linking it to the blogger (whose recipe you made) and to this event. You can either post the full recipe or just the picture of final recipe; it’s entirely up to you to decide. But one final picture of the recipe and a link to the blogger whose recipe you made and this event is a must. Please highlight any changes made to the original recipe in your post. 4. Email the following details to sia[at]monsoonspice[dot]com with MBP-Street Food as the subject line by 30th June. 5. Please remember that the deadline for this event is 30th June, 2008 and no late entries will be entertained. I'll not include your entries in the round-up unless I get them through emails as it's not feasible for me to check individual blogs and pick your entries. I will post the final round-up in first week of July. 6. There is no limit to the number of entries that you might want to contribute. If you don’t have a blog but wish to participate in this event, send your entries with a picture, your name and recipe to sia[at]monsoonspice[dot]com before the deadline. I will post the recipes with your picture in my blog and include it in the round-up. Simply copy and paste the below code to your post to use this logo. So friends, don’t delay. Start little bit of blog patrolling and send in your entries. Thank you Coffee for this opportunity. Street food... awesome theme Sups... I am in.. Love that logo! who hate steet food,many entries will flood ur inbox! Love the theme. Street food is the best! Lovely theme there Sia and I might just have an entry. why sia madam is wanting to make us fat? Great :-) I love the theme! Aha, that's so my kinda food!! So where are the chaats...? Fantastic theme..drooly drooly...Round up will rock. What an amazing theme my dear!! Street food oh yes!! bring it on!! something by sia is got to be rocknig haan... great theme... :) love d logo ... u made it na..
A lovely and interesting theme..Round up would be excellent!! Look forward to this!! Absolutely love love love the logo! And I'm definitely in - will send in healthy ones for sure - street food doesn't always mean greasy, people! wonderful theme, sia! Let me see. 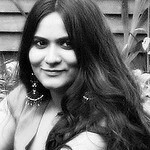 This is ALka here,and i reached u,thru Nupur's One hot stove. The theme of event is enough to keep me busy in kitchen.Count me in! WOW.....Street Food! Sounds interesting. Nice selection Sia. Colorful theme - street food. Almond meal is ground almond or almond flour. Thats a lovely theme for an event..count me in..
hi sia,first time to ur blog.itzz simply amazing. That's a very nice theme sia...will try to make it . hi sia,first time to ur blog.Its simply amazing. Sia, what an awesome logo. really loved it. The theme is great !!!! Do I actually have to 'cook' the dish. or Murugan Idli in Chennai? my first time here. love your blog - great pics and 'street foods' the best! hope to send something in!! may i use a recipe I did about a month ago? I was so excited about participating in this event but I guess I didn't read the details properly. I made street food from my own recipes:( May i still send you my entry? i am really sorry girl, i can't include it in the round-up as the whole purpose of MBP is to cook from other blogs. but if u have some interesting write-up about street food then may be i can give a link to ur page.